This village has the other members of the Cinque Terre licked when it comes to good beaches. 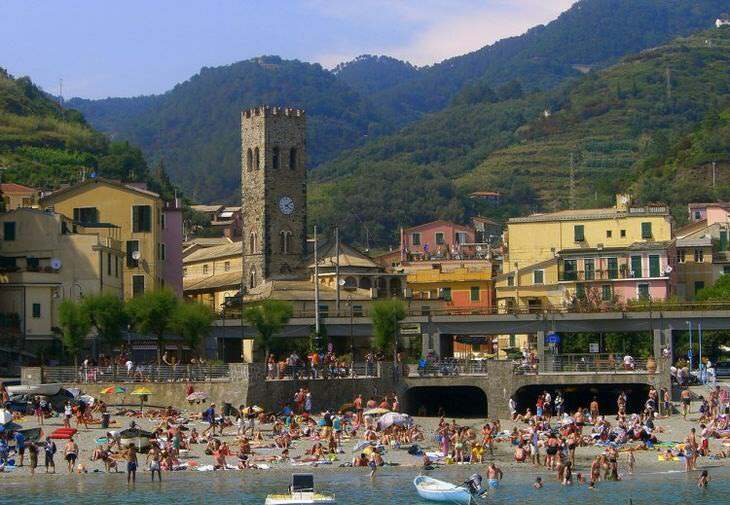 Monterosso al Mare is situated on the northwest coast, and is home to plenty of wine and artisanal shops, as well as hotels and restaurants. The Old and New Towns are connected via a tunnel that is mainly used by pedestrians. Read more from source: The Cinque Terre Are the World’s Most Beautiful Villages..